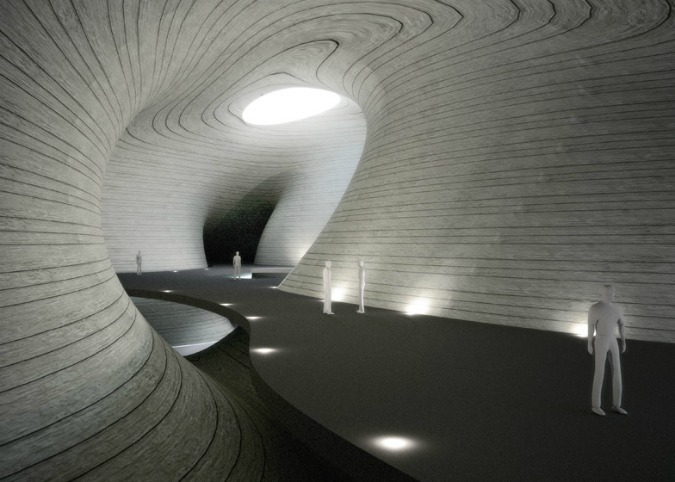 Beijing architecture studio MAD has designed an artificial island with an art museum set in caves in its three dune-like forms. Set in a reservoir on Pingtan island in China’s Fujian province, the Pingtan Art Museum will be the largest private museum in Asia, displaying a collection of over a thousand Chinese artworks and objects. 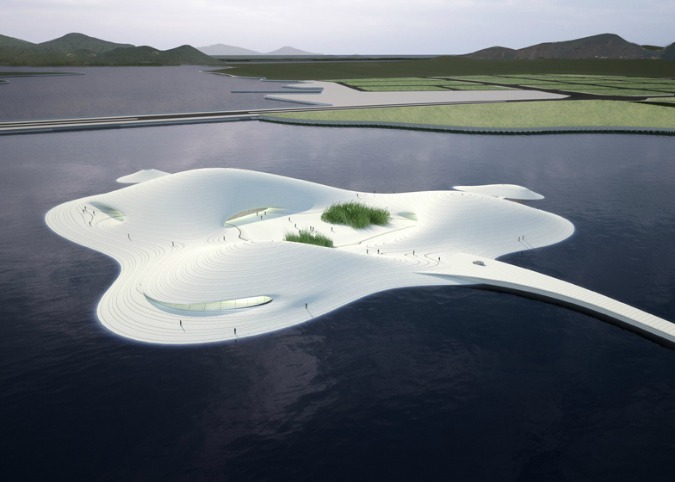 The museum itself acts as a smaller scale island off the Pingtan Island itself, connected to land only by a slightly undulating pier, which, in turn, bridges artificial and natural, city and culture, as well as history and future. 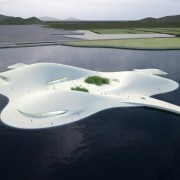 The museum represents a long-lasting earthscape in water and is a symbol of the island in ancient times. The sea, the beach, the oasis and the slope all interconnect with each other, forming a harmonious capacious space with the mountains in the distance. The building is constructed with concrete that is blended with local sand shells. The indoor space, formed by the rise and fall of the formal movements, looks similar to ancient caves. (source).